I owe a lot to coffee shops. With the exception of Christmas day, I go to a coffee shop at least once every day. I love them- there is so much life lived in such establishments. On a daily basis you can see almost every cross section of life’s challenges, joys, crisis’s, and smiles. What better place to find an unending source of inspiration than a coffee shop? They are the wine bars or pubs of the day time. They are social media away from a screen. They are live radio. They are soap operas without the dreadful unnecessarily for sensationalism. 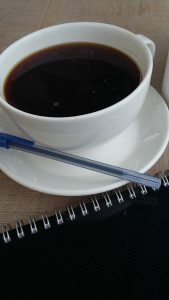 Not only do I write all my stories from a desk in the corner of my local café, but I also have a job as a coffee shop blogger for the Phoenix Community, which specialises in prompting in dependent businesses.. Each week I travel around Somerset and Devon, visiting independent coffee houses. 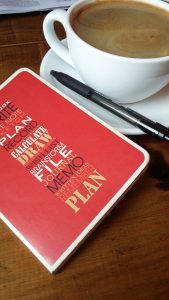 While I’m there I write, and report back on my experiences. It is therefore not so surprising that I chose to write a series of stories around the comings and goings in a coffee shop. 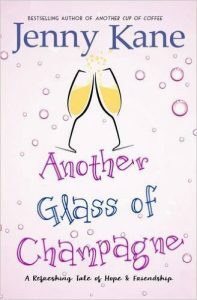 On the 9th June 2016, Another Glass of Champagne, the final instalment of my Another Cup of…series, completed its journey from my notebook, to the bookshop shelves, via the desk of my lovely editor. 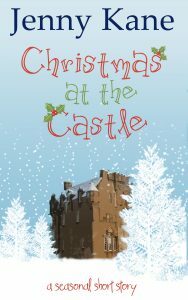 Following on from the novel, Another Cup of Coffee, and its seasonal Christmas novella length sequels, Another Cup of Christmas, Christmas in the Cotswolds, and Christmas at the Castle (which can now also be found together in the trilogy-Jenny Kane’s Christmas Collection), Another Glass of Champagne provides the last chapter of the continuing journey through life’s adventures, for Pickwicks coffee shop friends, Amy, Jack, Kit and their friends. 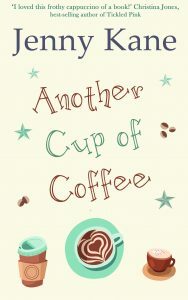 You can find all the links to the Another Cup of…series by following the book links at the top of this website. I write in coffee shops too. I love coffee and I get too distracted at home with things other than writing. Merry Christmas!